The zeitgeist forming Pelastakaa Pantterit ‘99 mark a welcome return in a new advertising campaign. This time the Grey Panthers will be saved – listen to The Duplo!’s ‘Harmaat Pantterit’ now. Almost 20 years ago a group of young men got a mission from the confectionary Fazer: How to save the Panthers? Pelastakaa Pantterit 99’ (abbreviated to PP99) was born. It was one of the most visible advertising campaigns of it’s time, seen everywhere from television screens, supermarkets, newsagents and more across the streets of Finland . The campaign had its own hand gestures and much sought-after tattoo stickers. It even had its own anthem ‘Pelastakaa Pantterit’ (Save the Panthers). PP99 was chosen as the best advertising campaign of the year in 1999 and it eventually saw its lead characters reach nationwide fame. The campaign instigated a collaboration with Korkeasaari Zoo in order to protect the Amur leopards, a collaboration that still survives to this day. Now, almost 20 years later – a delightful comeback emerges. 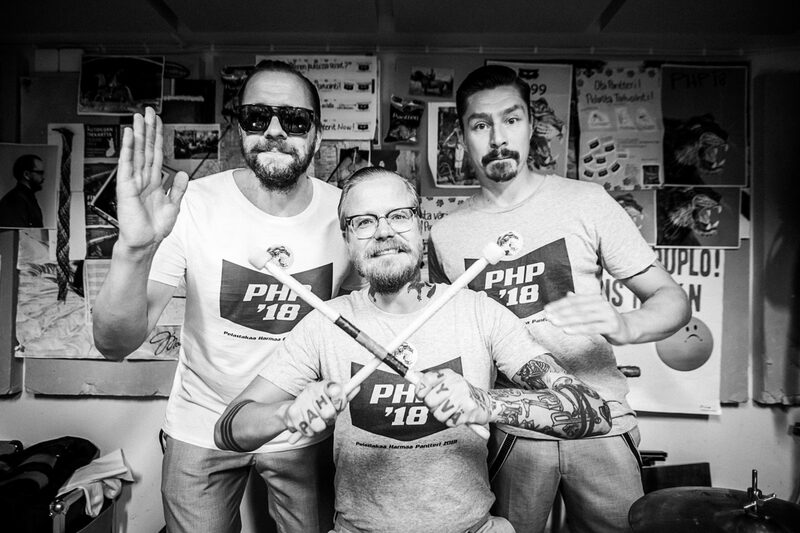 The Pelastakaa Pantterit return, consisting of Aleksi Pahkala, Jani ”Wallu” Valpio and Lasse Kiehelä – in other words – The Duplo! And they have a new mission, this time to save the Grey Panther. In the year 1999, the autotune heavy track ‘Pelastakaa Pantterit’ was translated into English as ‘Summer of ‘99’ – and it became a big nationwide indie hit. The Duplo! uncovered their old auto-tune and applied it to their new cut, reminding us of their zeitgeist-status. ‘Harmaat Pantterit’ gives a wink to The Duplo!’s contrary nature – forsaking their rock n roll for some unbridled pop infectiousness. Here at Soliti, we have it on good authority the new Harmaat Pantterit candy tastes pretty yummy too. A very rare The Duplo! live appearance happens this weekend at Superwood Festival in Helsinki on the 12th of October. blogcandyfazergrey panthersHarmaat PantteritnewsPelastakaa Harmaat PantteritsolitiThe Duplo! Previous PostTHE NEW TIGERS ANNOUNCE AUTUMN DATES WITH PIA FRAUSNext PostNew Silver Girl’s debut album is out now.